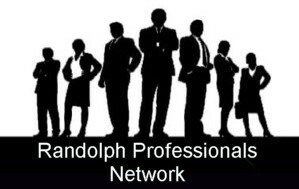 Randolph Professionals Networks are leads and networking groups of the Asheboro/Randolph Chamber of Commerce. The groups are industry exclusive, allowing one member to represent each industry (for example, there is one accountant, one caterer, etc...) per group. RPN 1 meets every Tuesday morning at the Chamber (137 South Fayetteville Street, Asheboro) at 7:45 a.m., and RPN 2 meets every Thursday morning at the Chamber (137 South Fayetteville Street, Asheboro) at 7:45 a.m., except the first Thursday (Feb.-Oct.), which will be at The Exchange (204 South Fayetteville Street, Asheboro). Both meetings end at 9 a.m. In addition to regular meetings, members enjoy annual and seasonal social events, as well as one-on-one meetings for lunch or coffee. Participation in the group is vital, and Randolph Professionals Network has attendance requirements to insure the integrity and strength of the group. For more information about attendance and other group rules, please see our policies. Typical meetings begin with officers' reports, general announcements, and the sharing of general leads (business information, which may be of interest to many members). Each member then has the opportunity to introduce him/herself, briefly describe their business and the types of leads they are seeking in 30 seconds. You are invited to attend an upcoming meeting! For further information, please contact the Asheboro/Randolph Chamber of Commerce at (336)626-2626 or email chamber@asheboro.com.